Imagination and building blocks seem to be the only limit for Jai Niesen's imagination. The only thing limiting Jai Niesen's imagination is the amount of Lego building blocks he can get his hands on. Mr Niesen's latest creations include a coin-operated vending machine that dispatches bags of lollies, and a basketball games machine. 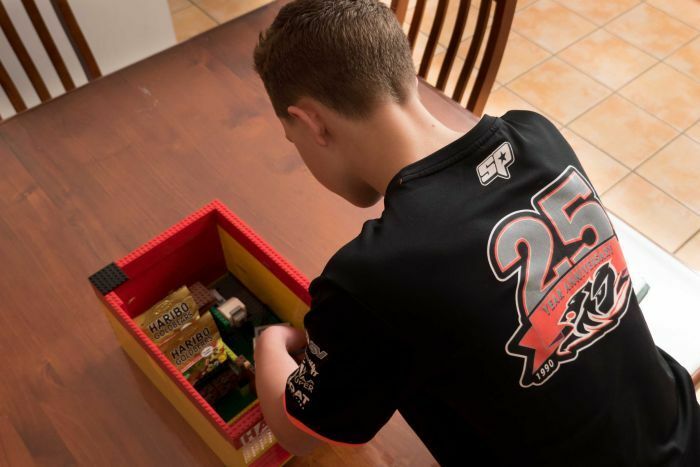 "I just like it [Lego] because you can build anything," he told 891 ABC Adelaide's Mornings host Ali Clarke. Mr Niesen started off constructing standard Lego kits, but it was not long before he began making models replicating real-life working machinery. His basketball arcade game took three nights to build and features a coin-operated ball dispenser, Lego man shooter and cheering sound effects when the shot is successful. He has also built a coin-operated vending machine, which uses a conveyor belt mechanism to deliver bags of lollies. Mr Niesen said his creations took between 8,000 and 13,000 bricks to build. Because his creations require specific colour bricks, he has moved away from buying kits and now purchases the bricks separately. Bricks cost up to $45 per kilo. It has become an expensive hobby, and Mr Niesen recently turned to crowdfunding to attempt to raise $100 for his next creation — a pinball machine. 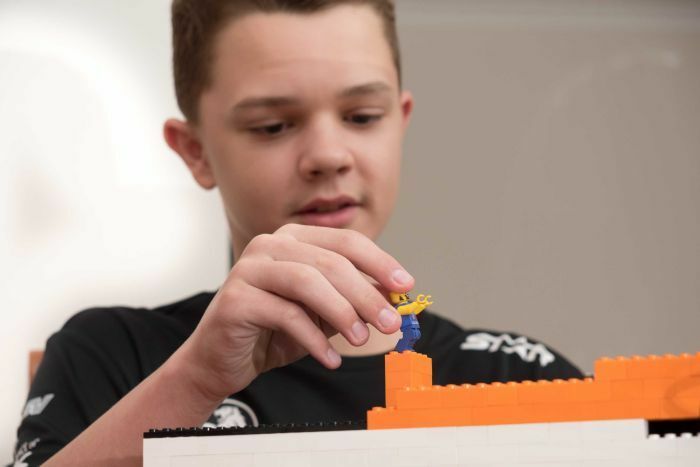 He said he hoped to be able to have the pinball machine ready to display at Brick-A-Laide, a one-day exhibition in Adelaide showcasing local Lego creations. The Playford International College student said he also hoped to continue to build on his creativity after he finished school. "I'm currently studying engineering [in class]," he said. Jai Niesen adjusts his coin-operated lolly vending machine, built entirely out of Lego.